I’m not sure where to begin with the S301; it’s undeniably attractive, it’s legit with its 300m of water resistance, and it’s sized just right at 40mm. There’s an option for a bracelet, but the custard lume goes great with the supple brown strap with custard stitch highlights. The “patina” extends to the bezel as well, and while the bezel markers and numbers don’t glow, the lume pip matches the glow of the hand and dial lume. What do you think? Could this Bremont beat out the Tudor Black Bay 58 (especially if you don’t like rose gold gilt)? And finally, the big question, does “faux-tina” diminish a dive watch’s ability to actually be used for diving (albeit, as a back up timer)? The case on the Bremont looks more visually interesting than the Tudor, but the Black Bay 58's dial and top hat crystal just looks richer to by eyes. The Bremont's dial looks basic and flat with the printed indices. The Tudor dial just catches my eye as much more visually interesting. BTW - I haven't researched the Bremont so pardon my asking out of ignorance, but what is that gold ring on the Bremont's crown? Is it just a decorative component of the crown? Could it potentially become another source of deterioration due to dissimilar metals? Ryeguy wrote: The case on the Bremont looks more visually interesting than the Tudor, but the Black Bay 58's dial and top hat crystal just looks richer to by eyes. I believe the gold ring is purely decorative (potentially an answer to the Tudor colored crown tubes)and is most likely just anodized aluminum. I’ll ask our Bremont rep to confirm when I get a chance. The original is still a better looking watch than the new one. Its not an ugly watch and I still love the Bremont case, but as mentioned by Chris, the 301 looks too simple, flat. I plan to get the BB58, but in my case its not because the BB58 is way better, its because the previous version of the Supermarine was better. The 301 needs applied indices (or maybe thicker ones) and still it would look flatter than the dial on the S500. I do like the new size and that is a date only watch... the day display was the only thing I didn't like of my S500. 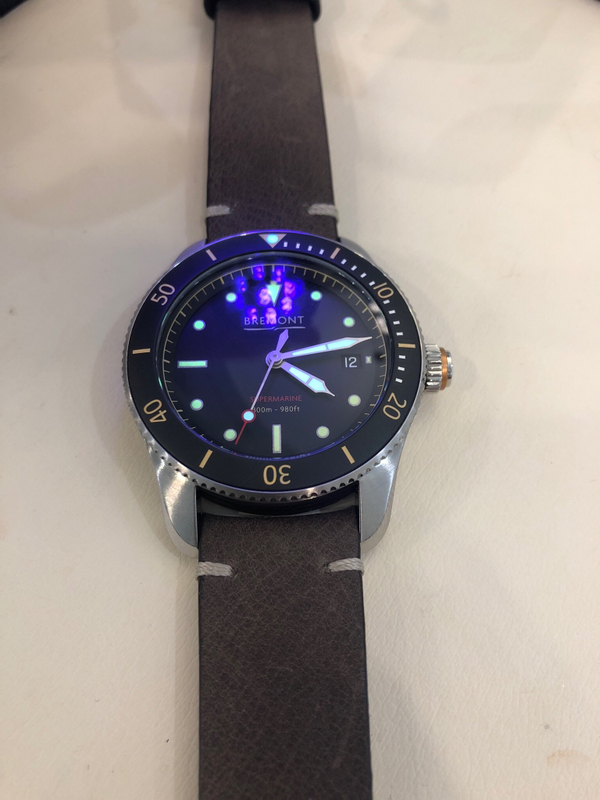 "but the custard lume goes great with the supple brown strap with custard stitch highlights.The “patina” extends to the bezel as well, and while the bezel markers and numbers don’t glow, the lume pip matches the glow of the hand and dial lume." - Agree, looks great on a brown leather strap. "What do you think? Could this Bremont beat out the Tudor Black Bay 58 (especially if you don’t like rose gold gilt)?" - Not in my book, see my original response. Even if we didn't have the BB58, I would buy another OG Supermarine (the black/mint combo was also very nice) or one of the GMT variants. The S500 is an excellent design, but so is the 301 is in a different way. The regular and tan lume versions are not flat looking in the flesh. I agree with Joe. The biggest problem the 301 has is that the SM500 is better looking and has a proper dive bezel. No diver ever needed lume. Lume requirements are in the ISO and desk divers love it, but I have never needed it in my entire dive career. If you are entering an environment that is low-light enough to not be able to read the dial on a watch, you have already turned a dive light on and have a back-up torch if required. A watch being well lumed (or not) is irrelevant. 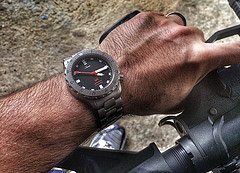 I like the 301, but there's literally zero comparison with something like a BB58 (unless the Bremont is half the price - which it's not). I like Bremont but find this watch over styled. The crown, the faux lume, the overall package just screams “micro brand” and reminds me of something we’d see out from Farer or Nodus. The BB58 is hot, but I’d prefer they lose the gold and give us silver highlights. I don’t remember, but were people complaining about lug holes back in the day, so manufacturers eliminated them? I’d find a vintage-inspired watch more believable with the lugs drilled through. hoppyjr wrote: I like Bremont but find this watch over styled. The crown, the faux lume, the overall package just screams “micro brand” and reminds me of something we’d see out from Farer or Nodus. Yeah it is like most brands collectively decided lug holes detract from the overall appearance and stopped using them. I prefer lug holes and as far as aesthetics GS still puts them on most of their references and the make a beautiful timepiece. 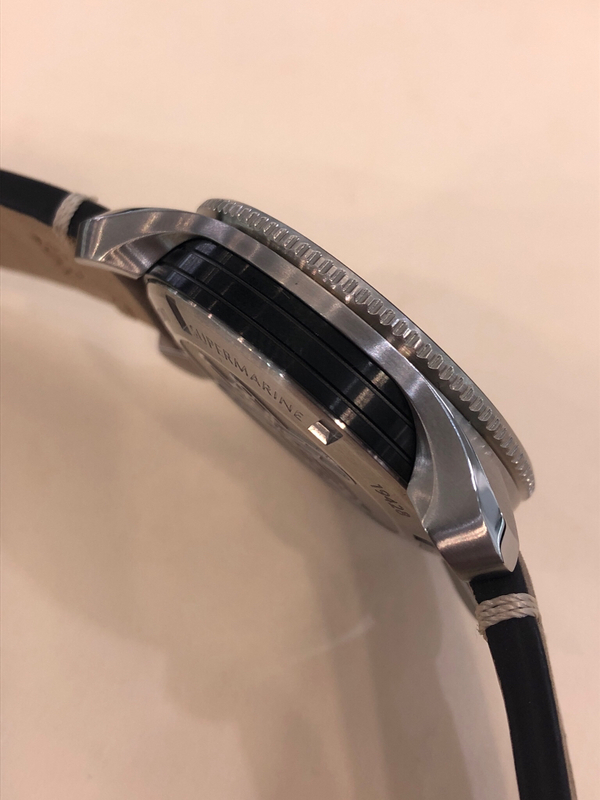 Brett, I'm on your list for a BB58 and considered the S301 as I love the S500 but the size and thickness is a no-go for me as I want a daily wearer. S301 ticks a lot of boxes. Great Bremont case design. I like the satin bezel insert. Something about the dial just reads too flat and simple for me. Perhaps the faux patina, or the small markers.... which don't have the richness of the BB58 with it's maxi dial. Feels like a pilot dial put into a dive watch. 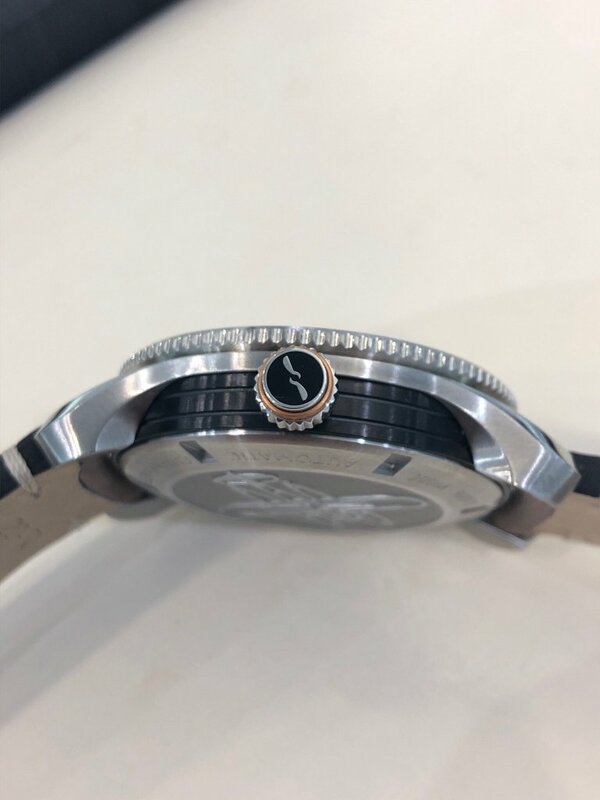 The S500 dial by comparison is probably overstyled, but is consistent with the highly stylized case design. The bottom line for me is that the simple flat dial of the S301 doesn't speak the same design language as the complex case design, which bugs me a bit. 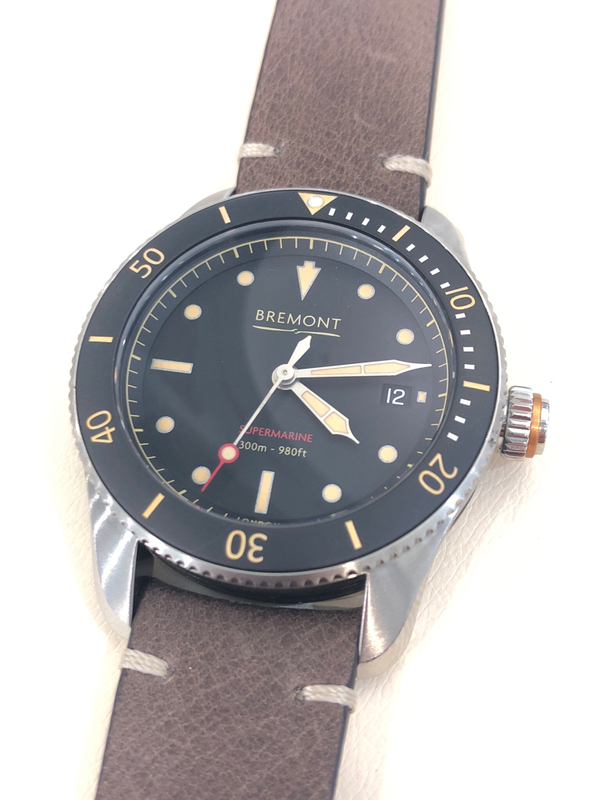 Also worth noting that the Bremont on a bracelet is priced $500 more than the BB58 and is without a true in-house movement. Their chronometer grade 2892 is no slouch, but the power reserve is half the Tudor's which is important. Definitely a nice watch though and a solid option for those seeking a smaller sports watch. I put one on last week and I fell in love with it. Just could not see how could the lume was in a watch store. Maybe give us a lume shot? To busy for me, the 301 is for people who want a more conservative dial. Man I want another MBII but have to talk myself down and come to my senses as it would mean selling my beloved XVIII on bracelet. I had nothing but movement headache with both MBIIs I owned but it seems I just got unlucky twice. The lack of aviation/military heritage doesn't bother me so much as they have good CS, cater to the military crowd, and have cool designs for the most part. As mentioned, the problem is they're too overpriced for the ETA they carry, especially when compared to Tudor in-house which blows them away on PR. They really need to sh*t or get off the pot with a true in-house which makes them competitive because they're slowly dwindling by the wayside in terms of perceived value even on the secondary market where they can be had inexpensive. 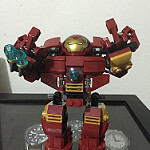 If they did an MB version to commemorate those in an active jump unit(s) I'd push myself to do stupid things. Echoing what others have said – the dial treatment on the original Supermarines is a much better fit to the detail-oriented case. With the same case, the vintage-inspired dials just come off way too flat here. I really wanted to like this one, but it just doesn't have enough pop on the wrist. Thanks for the comments everyone. Once we have Tudor BB58s in the shop I'll do some side-by-side shots just for fun. sierra11b wrote: Man I want another MBII but have to talk myself down and come to my senses as it would mean selling my beloved XVIII on bracelet. I had nothing but movement headache with both MBIIs I owned but it seems I just got unlucky twice. TimelessLuxWatches wrote: Thanks for the comments everyone. Once we have Tudor BB58s in the shop I'll do some side-by-side shots just for fun. That will be very interesting, thanks! I like the watch a bit but don't love it, as far as faux-Tina I just look at it as a color not as an attempt to age the watch. Bremont would be more attractive if they were priced closer too 2k. Don't think I could make myself choose it over the 58.